There’s a lot of social media sites around these days, but are they all applicable to your business? Do you really need to post on them all? One of the most debated is whether or not you need a Google+ account for your business. 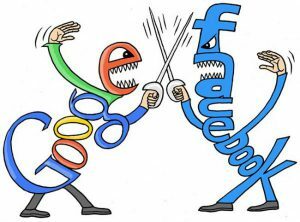 The reason for that is that Google+, built to take on Facebook, just never dented the social media giant. People simply didn’t take to it and sign-up in the numbers required to create a viable alternative to Facebook. Do you use it? Do your friends? Probably not. But then again I don’t use Snapchat but 100 million other people do! It’s the same with Google+. It may not have the billion users of Facebook, but it still has a very respectable active membership of around 111 million (some resources list it as over 300 million). Which is more than Snapchat. 55% of Google Users are located in the USA, with 5% in the UK and 4% in Canada. It is very much a US system, therefore it’s not strictly speaking a great conduit for small bricks & mortar businesses outside the US to attract customers. That is, if you’re selling physical services like beauty/hair or plumbing for instance. People don’t really think to go to Google+ to look up these local services, in the same way they do Facebook. But whilst they may not go to Google+, they do go to Google the search engine. And that is why you need a Google+ account. Being on Google+ is more than just about being on the social media platform. It is about being hooked into to Google – the search engine giant – and joining Google+ does that. When you setup a Google+ account you can link your website directly to it. Google is a business, and as such it favours showing its customers: Google+ accounts get listed higher. Also when you do a search for a business name in an area, your business profile gets displayed in the right hand column of Google. Now, if you’re purely a digital business like an affiliate marketer, you still get a lot of the same benefits. One of the main ones being that when you make a blog post, if you link it up on your Google+ site, it’ll get indexed much, much quicker. Some users report in around an hour. It’s good but let’s not get totally carried away! Also, as a digital marketer, it doesn’t matter where your readership is located. You’re not looking for physical “bums on seats.” So, it doesn’t matter if you’re in the UK, Canada, US or wherever – you get access to the whole potential audience for your niche. I find Google+ better for driving traffic to my websites than Facebook, mainly because many of the communities on Google for my niches aren’t closed, whereas I find the larger groups on Facebook are, because they don’t take kindly to “commercial” posts, no matter how relevant. That’s understandable, but it restricts you in promoting your content, and to a group that may well be interested in it. I don’t spend a great deal of time on Google+, you don’t need to. Whatever I post on Facebook, I post similarly on Google+. There’s not a great a crossover of users, so I see little point in producing content specifically for one or the other platform. So, it only takes a few minutes to update the account, and I’m sure you have the time to spare. Another thing I find Google has the edge on with Facebook is hashtags. Always, always hashtag your Google posts. They have far greater effect on that platform than on Facebook, and you may be surprised how much they help in getting views for your account page. I can certainly tell on my Google Analytics reports that my site gets more referrals from Google+, than it does from Facebook. However, both have strengths and weaknesses in comparison, and they complement each other. You need both. Everything you do on Google+ drives traffic back to your page and website. With the introduction of Communities the focus of Google+ feels like it’s shifted more from the strictly social to the topic; more of a discussion forum than a place to share your holiday photos and daily thoughts. Google+ may not have vanquished Facebook but is far from dead and it’s not going anywhere soon. It continues to evolve and you should get on it sooner rather than later. If you want to learn further how Google+ helps rank your website and aids your affiliate marketing business, check out my review of Wealthy Affiliate. The best one-stop resource I’ve found to provide honest advice on how to make money online.